Swordsfall is as much an art book as it is an RPG and the Kickstarter is to fund that art. The setting came from Brandon Dixon’s frustration that so much of fantasy lore, whether it high fantasy or low fantasy, was Eurocentric in flavour. He set up a Patreon and a World Anvil to share Swordsfall. That’s now worth at least $324 a month in Patreon backers, so there’s clearly demand, and a Kickstarter feels like a sensible next step. You can follow the progress online. The game funded in an hour, in a day it had 600% of the cash Dixon asked for, but he didn’t ask for very much. The original request was for $2,000. Now, with 22 days to go (at the time of writing), there’s nearly $40,000 in the pledge pot. 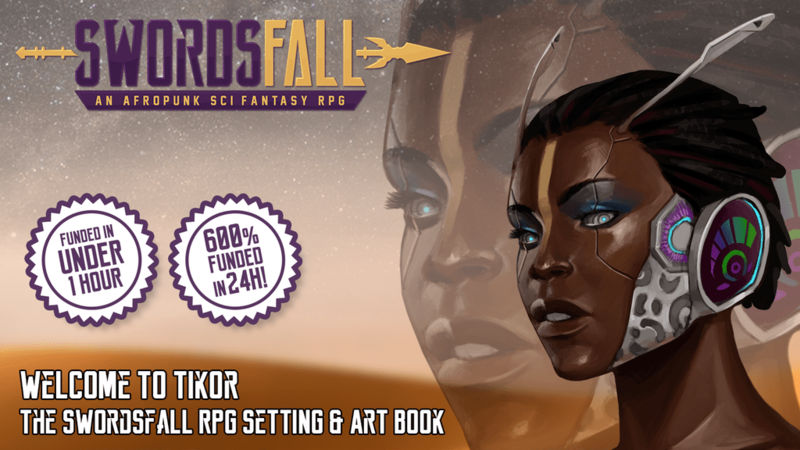 A pledge of $30 is what it takes to get the PDF of ‘Welcome to Tikor’ a Swordsfall Setting and Artbook. $50 gets you the hardback. The book itself will be 8.5×11″ and printed on premium colour. There are now enough backers to secure offset printing, where the inked image is transferred from the original plate to a rubber blanket, then to the page, has been obtained. This is more expensive but will produce a better result. 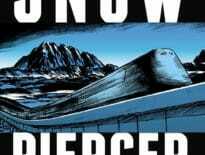 While the setting is written by Brandon Dixon, the lead artist is T’umo Mere. You can see plenty of examples of T’umo’s style over at ArtStation. T’umo won’t be alone, Taylor Ruddle, Sabina Lewis and Jonah Lobe are also involved. Can’t wait to get your hand on the goodies? Savvily, there’s a Redbubble store where you can buy some posters.